Begun by V. Trenckner; revised, continued and edited by Dines Anderson and Helmer Smith, et al. 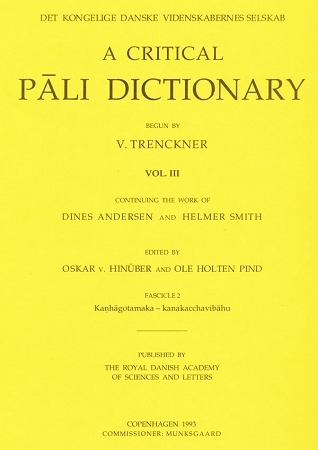 The most complete Pali-English dictionary covering Kaṇhāgotamaka - kanakacchavibāhu. The dictionary has been discontinued after III.8.